Brasilian newcomer Waleksa Gorczevski emerged like a bolt out of the blue at the recent Fall/Winter 2014 collections logging an impressive tally of 54 show bookings while pounding runways across four fashion capitals. That's a pretty hefty show list considering Gorczevski has only modelled locally in her native Brazil since being discovered two years ago by her mother agency Kee MOD. Gorczevski's star potential has been clear from the outset with the sixteen year old casting a magical spell at Sao Paulo Fashion Week as the most requested model during the Fall/Winter 2014 collections. Armed with a portfolio bearing editorial tears for Vogue Brasil and stunning test images shot by New York-based photographer Matthew Priestley, a discernible buzz surrounding Gorczevski could be heard rippling through key industry circles earlier this year. Gorczevski's 179 cm runway perfect proportions, adorable heart-shaped face, and haunting green eyes mesmerised all in attendance as she debuted internationally at Dior's Haute Couture Spring/Summer 2014 show. 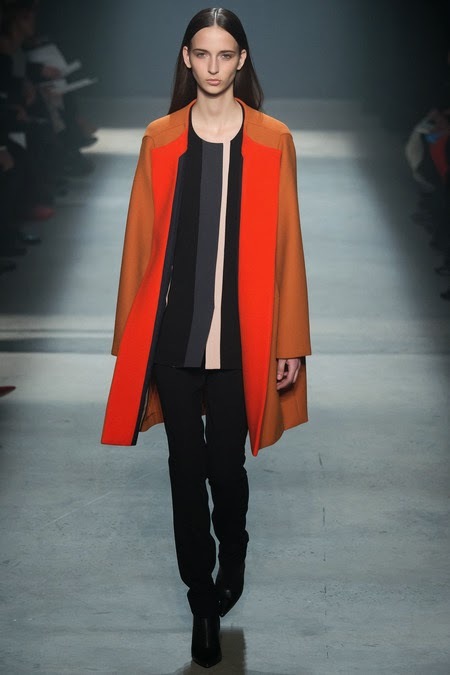 Fast-forward to the Fall/Winter 2014 collections and Gorczevski has confirmed her status as one of the most hotly contested newcomers of the season appearing at Calvin Klein, Proenza Schouler, Marc Jacobs, Christopher Kane, Giles, Prada, Jil Sander, Miu Miu, Chloé, Valentino, Céline, and Chanel. Indeed Gorczevski's versatile beauty, romantic soft features, and 'girl meets boy' quality are perfectly in sync with the fashion industry's current predilection towards models who are capable of embodying a variety of beauty aesthetics. Gorcezevski's mixed Portuguese and Polish background translates to a beguiling hard-to-place look that appeals to a broad cross-section of global markets. In between twenty-three show appearances at Sao Paolo's Spring/Summer 2015 collections, Gorczevski chatted exclusively to IMA about her epic Fall/Winter 2014 season, the challenges of juggling school and plum modelling assignments, and why diversity in fashion is a win/win situation for all concerned. 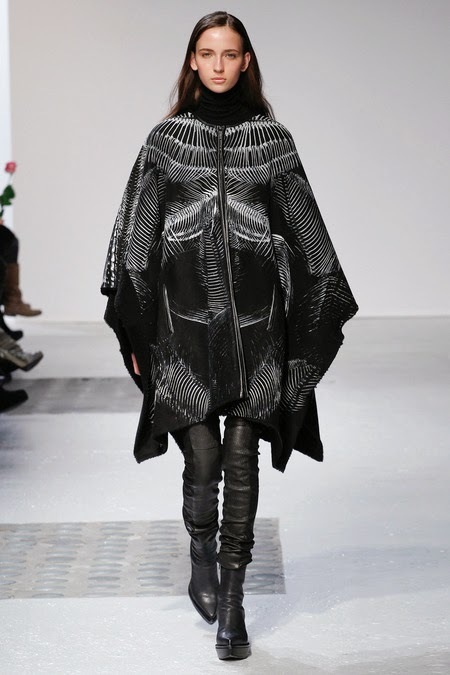 Inoubliable Model Army (IMA): Hi Waleska, congratulations on a stunning Fall/Winter 2014 season and on making it onto IMA's Top 10 Newcomers List for the season! How are you feeling now that you have had time to realise the full extent of your Fall/Winter 2014 achievements? Waleska Gorzevski (WG): Hi IMA, thank you so much! Yes, I was very surprised by my debut season as there were many shows - in total 54 that I appeared in! I was very pleased by the response and recognition of my work given that it was only my first season walking. I was happy to be able to open and close various shows and to realise that I was taking such a major step in my career. I'm excited to continue working and to see what lies ahead in the seasons coming. WG: I was born in Florianopolis, an island with 42 beaches in the state of Santa Catarina, Southern Brazil. I'm of European descent, Portuguese on my father's side and Polish on my mother's. I'm sixteen and have been modelling for almost two years since the Kee MOD Contest in late 2012. I was discovered while walking with my mother in the centre of Florianopolis and was invited to a lecture about modelling. It was there that I met my agent and friend Rodrigo, and it all started from there. 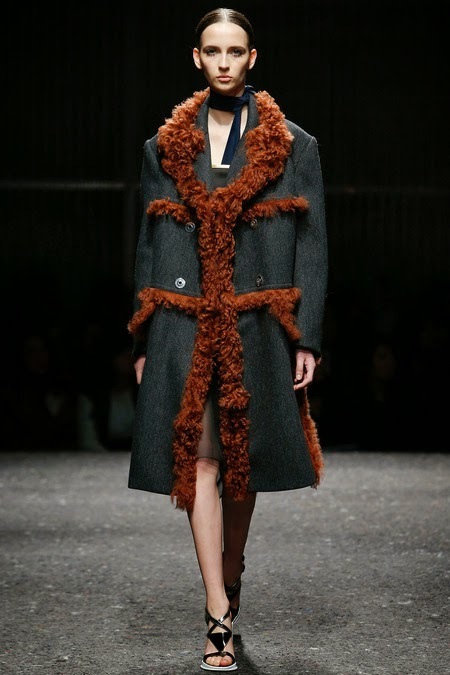 IMA: You logged a phenomenal 54 show bookings at the Fall/Winter 2014 collections! How long did it take for you to recover from such a punishing schedule once Fashion Week wrapped? What memories do you cherish most from your debut season both on and off the runway? WG: My first big test was at Sao Paolo Fashion Week and Fashion Rio because the shows I attended and the routine and work involved helped me to realise what I would face in my career. Once the Fall/Winter 2014 collections finished, I had no vacation, went straight to work and participated in Sao Paolo Fashion Week 2014! Only in early April when I returned to New York, did I get the chance to have a little time to myself as my schedule was not so hectic. My most fun memories of the season were making many friends, finding models and Brazilian make-up artists backstage, having fun during the rehearsals with good music, and meeting many different and nice people. IMA: Your rise since being discovered via the Kee MOD Star 2012 competition has been meteoric. You were the most requested model at Sao Paolo Fashion Week F/W 2014 and have appeared in multiple editorials for Vogue Brazil, in addition to making your international runway debut at Christian Dior S/S 2014. How do you juggle the demands of modelling with school and the normal day-to-day life of a 16 year old? WG: It was not easy, in 2012 I had to adapt to a new way of studying and completing the second year of high school in Brazil. Studying via correspondence was possible and enabled me to travel to Florianopolis to do a lot of testing. For the moment, I try to keep up with my studies by taking advantage of any spare time reading and researching on various subjects. 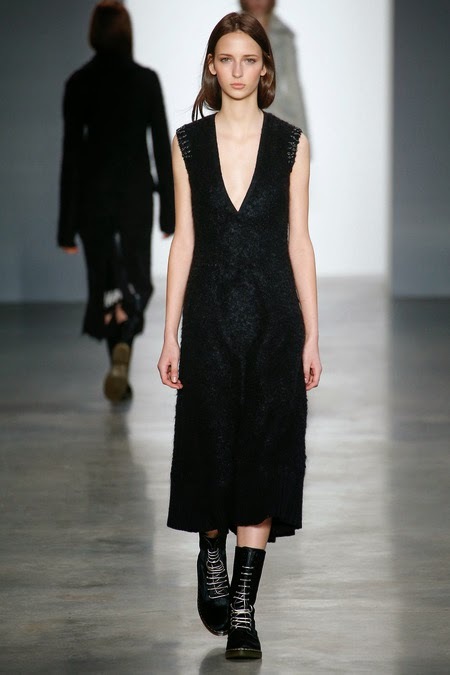 IMA: Your mother agency Kee MOD and your New York representation DNA Models have guided your modelling trajectory to its current nadir at the Fall/Winter 2014 collections. What do you value most about Kee MOD, and what advice did your agents offer you in preparation for the Fall/Winter 2014 season? WG: A good base is essential, both in the family and at work. Thanks to my mother agency, Kee MOD, I was able to understand how everything worked and to improve myself more in my career. I value most of all the trust and confidence that I have in the team at Kee MOD. But I can't forget also all my other agencies; DNA, Premier, Oui, and Why Not, who have also helped me to grow more and more in my career. IMA: Brazil is renowned for producing some of the modelling industry's most enduring beauties; Gisele Bundchen, Raquel Zimmermann, Isabeli Fontana, and Caroline Trentini to name but a few. Was modelling always a dream of yours growing up and who are your favourite modelling icons? WG: I have to confess that I never thought about being a model but it was somehow a good thing as I had the opportunity to explore other areas of interest like sport, judo, swimming, dancing that have been beneficial to my development now that I am modelling professionally. I think I have not ONE icon but several, each with their own style and way of being. I greatly admire Gisele though for everything she has achieved and for what she does to help others. IMA: This past show season you wore some stunning creations by the world's most celebrated designers. Were there any collections that you loved in particular and which three designers best reflect your own sense of style? WG: I try to analyse every collection and the clothes that I participate in, wondering where and how I would look in the overall line-up. I admire all designers, each with their own style, some more different and daring, others less so. I really like the creations of Prada, Fendi, Marc by Marc Jacobs, Chanel, and Acne! IMA: Your editorial shoots for the August and November 2013 issues of Vogue Brazil and recent test shoots with Matthew Priestley have yielded some stunning images for your portfolio. Describe the experience of shooting with Matthew Priestley and were you pleased with the results? WG: I like to consider the complete work not only in terms of my efforts but also the quality of the images. I think Matthew Priestley is a very fast and practical photographer with great production and a wonderful simplicity in his photographs. He is an amazing talent and produces an extraordinary quality of work. IMA: What do you hope to achieve in the course of your modelling career, and are there any key industry figures that you would love to collaborate with in the future? WG: I hope to continue to stay focused on always doing a great job, to learn many things and to improve. I want one day to be able to help all of those who supported me and also those people in need who require support. I'd like to work one day with Vogue magazines around the world and to participate in campaigns with Prada, Chanel, and Marc Jacobs. Also on my list is to work with Tim Walker as I love the magical quality and theatrical production in his editorials. IMA: Models are encouraged to utilise social media to increase their public profiles. Do you feel that today's generation of teens and have gone too far in over-sharing their personal lives via social networking? WG: I think there are limits, from the moment that you begin to be more public, you have to be more careful with how you project yourself via social media, but it does not mean you have to stop being active and taking pictures of what you like. In my case, I use social networks to talk to family and friends and to share cool things that happen to me, but I'd rather not post everything about my personal life. 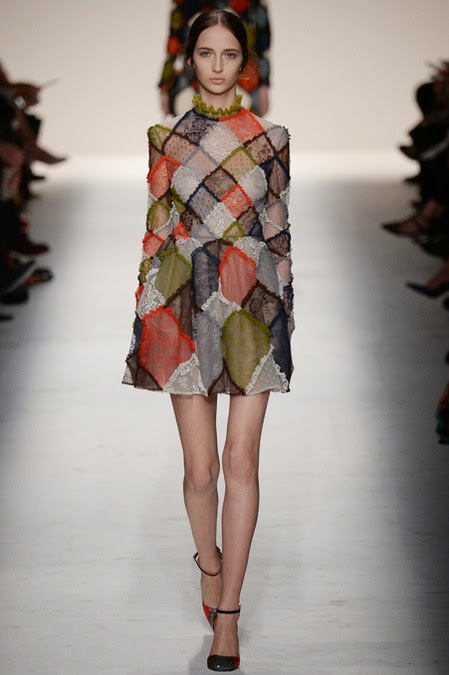 IMA: The CFDA discourages the use of models under the age of 16 on runways at New York Fashion Week. What are your views on this stance and do you feel that this will have a positive long-term effect within the modelling industry? WG: This happened to me as I'm 16 and it was very good because I had a whole year to prepare. I was able to make a more mature decision to be a model and to understand what modelling entailed - living in a new country with a new culture, another language, and to form new relationships at work. I think it's a good position in relation to age because models need to have some level of maturity and responsibility for this career and it's difficult to imagine being a 15 year old girl working alone in NY. IMA: Brasil has one of the most ethnically diverse populations in the world. How important is it to you to see diversity reflected on fashion's runways? WG: I believe that everyone wins with this. Especially living in a globalised world - it's very important to see, to know, and to understand ethnic diversity on the runways and in the world. WG: My character, dedication, discipline, and my love for life and for those close to me.